Post Your Pics Page 17. 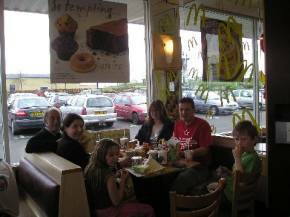 After the walk, 4 May 2008. 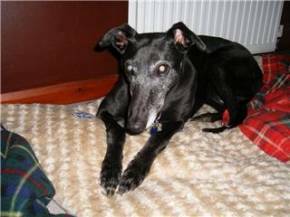 Here is Star, adopted by Fiona and Scott in December 2007. And Duke who they also adopted in January 2008. 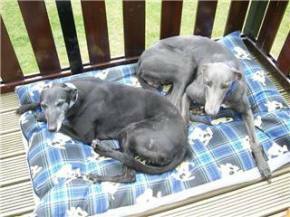 This is a photo of Star & Duke on their holiday in Carradale, May 08. 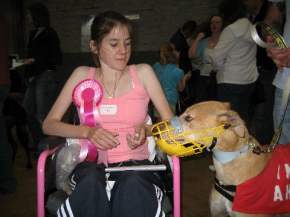 Louise with Barney at the dog show on Sunday 1st June 2008. 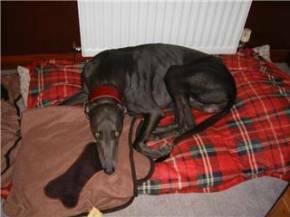 Barney won 4th prize in the best male greyhound competition.